Studies show that one hour of smoking shisha – or hookah as it is more commonly known – can be as damaging to your health as smoking 100 cigarettes. And with the shisha flavours masking the harmful tobacco smoke taste, people are smoking for longer periods at a time and putting themselves at severe health risk, say experts. 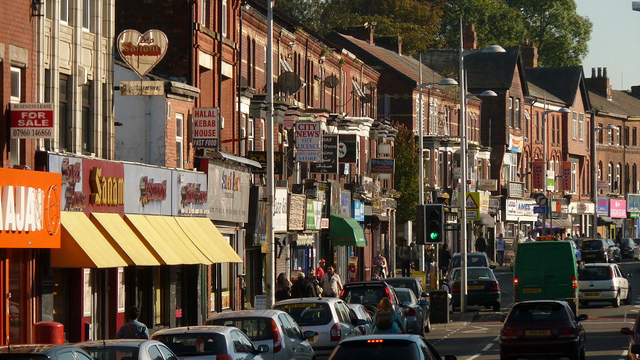 Shisha cafes in Rusholme were visited by a Manchester City Council team to ensure cafes and customers were complying with the legislation, and to deliver a stark health warning. On average a shisha session lasts about one hour, making exposure to the tobacco smoke - which is carcinogenic - dangerous to health. Legislation states that smoking shisha inside a cafe is illegal, just as smoking inside is illegal, even if it is tobacco free. Shisha smoking can take place in an outside or open area but anyone caught smoking inside is subject to a £50 fine. During the visit in Rusholme, offences including smoking inside and inadequate displays of no smoking signs inside were identified, resulting in five fines being issued. Councillor Nigel Murphy said in a press statement: "Smoking is not allowed, whether it is cigarette or shisha inside premises." One Shisha cafe owner, who did not want to be named said: "People come here to enjoy themselves, if they smoke it is at their own risk. It is much like smoking cigarettes, it is their own choice." Amsa Ahmed, 33, who has smoked shisha said: "I did not know about the health dangers but it makes sense. I think I will look into it, though I'm not sure it will stop me from smoking shisha." The government hopes the launch of a campaign to raise awareness of its dangers will help tackle common misconceptions surrounding smoking shisha and will target areas such as Rusholme where there is a prevalence of shisha cafes. With posters and leaflets being distributed to cafes and displayed in GP surgeries, as well as social media messages warning of the risks and legality of smoking, the government hopes to get their message across as loudly as possible.